Nepal Foreign Affairs (KATHMANDU, 17 November 2018)- Prime Minister KP Sharma Oli has said the campaign of nation building cannot be expedited without the development of a positive attitude towards a progressive tax system. 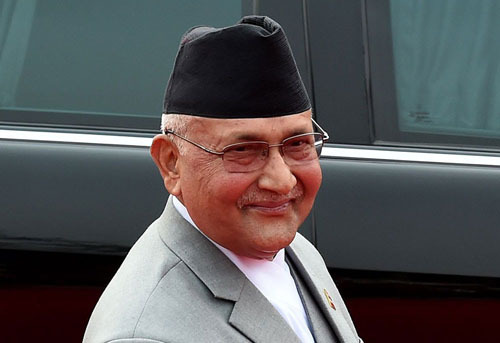 In a message today on the 7th National Tax Day, Prime Minister Oli has said that the government committed to uplifting the living standard of the people in general has been achieving success in making revenue collection effective and checking revenue leakage. “Revenue collection has increased by 26 per cent while tax collection saw progress of more than 37 per cent in the current fiscal year and this notable progress will get continuity in the days to come,” he said in the message. The government is consolidating the revenue system through voluntary tax participation by bringing all areas of income into the tax net, he says in the message while adding that further active support of every dutiful Nepali citizen is essential in order to realize the government’s initiative of building a self-reliant economy.